Meet the Money® 2010: Mark Woodworth, PKF Consulting: What better time? Here is an easy download link, and an embedded image for Mark Woodworth’s presentation at Meet the Money® 2010. Mr. Woodworth is an Executive Vice President of PKF Consulting (“PKF/C”), and President of PKF Hospitality Research, an affiliate of PKF/C. 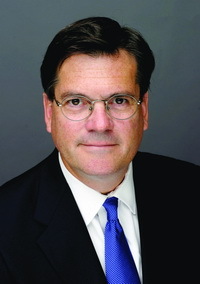 Mr. Woodworth is based in the Atlanta office of PKF/C. Mr. Woodworth is responsible for all of PKF/C’s activities in the Southeast and Caribbean. Mr. Woodworth is a frequent speaker at industry conferences and a lecturer at Cornell University and Georgia State University, among others. He serves on the Board of Directors of the Atlanta Convention & Visitors Bureau, the Finance Committee of the United Way of Metropolitan Atlanta and the Council at the Henderson Mill Elementary School. He also recently completed a three-year term on the Board of Advisors for the Center for Hospitality Research at Cornell University. Mr. Woodworth holds both a B.S. and Master’s Degree from Cornell University’s School of Hotel Administration. He also served on the faculty of the Center for Professional Development at Cornell for 12 years, where he continues to guest lecture. He and his wife Mary Kay, along with their children Harry, Will, Sam and Savannah, reside in Atlanta. Mark Woodworth, PKF Consulting: What better time?